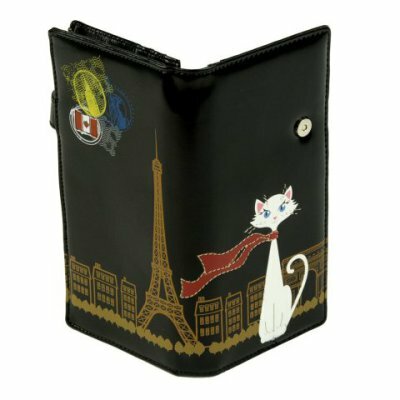 This adorable faux leather cat wallet features a scarved white kitty in front of the famous Eiffel Tower. The interior of the wallet has lots of pockets for credit card and IDs, room for pics, and a compartment for cash (dollars or Euros!). As a final touch, the magentic clasp is decorated with a white pawprint. 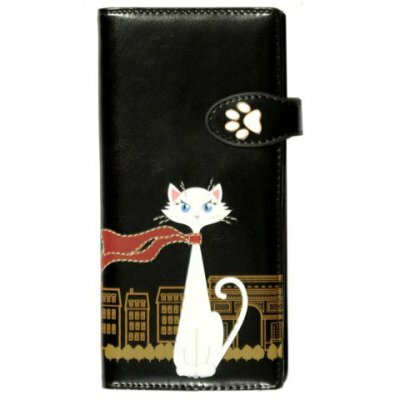 For more information about this fun wallet, click here. Feeling Batty? Signal For Help!